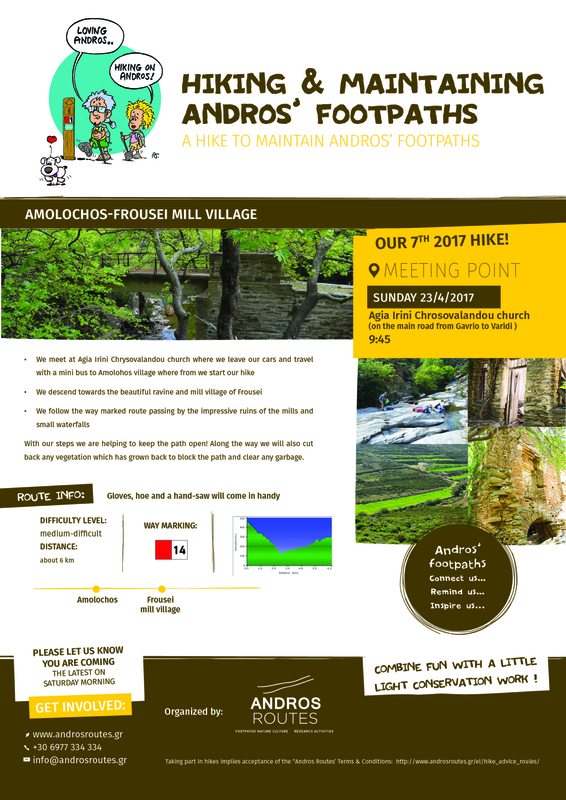 Join us on our 7th 2017 maintenance hike from Amolochos to Frousei mill village ! Please let us know you are coming the latest on Saturday morning ! Combine fun with a little light conservation work ! Gloves, hoe and a hand-saw will come in handy.